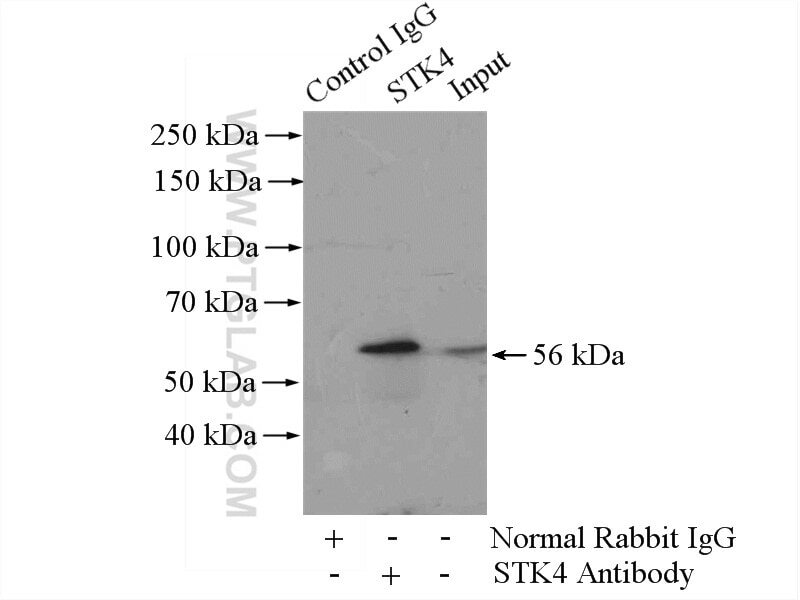 Immunofluorescent analysis of HepG2 cells using 22245-1-AP(STK4/MST1 antibody) at dilution of 1:50 and and Rhodamine-labeled goat anti-rabbit IgG (red). 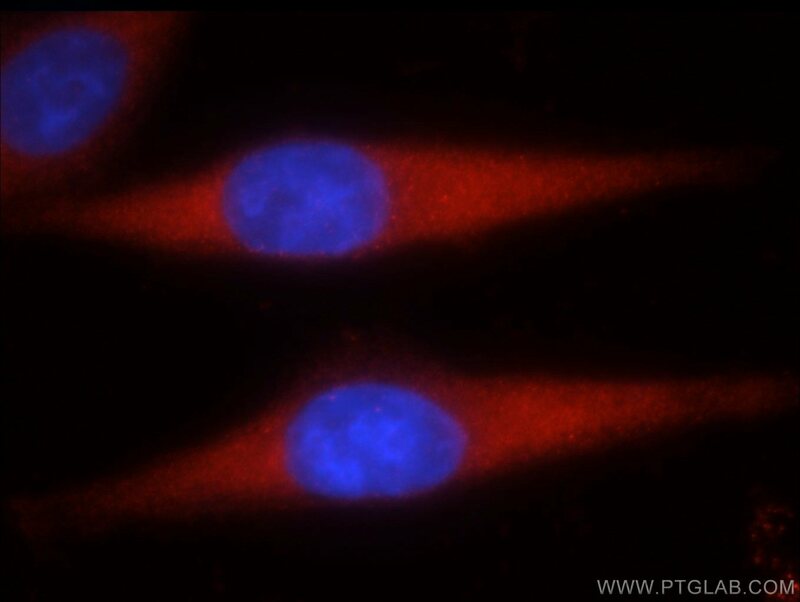 IP Result of anti-STK4/MST1 (IP:22245-1-AP, 4ug; Detection:22245-1-AP 1:1000) with HeLa cells lysate 1200ug. 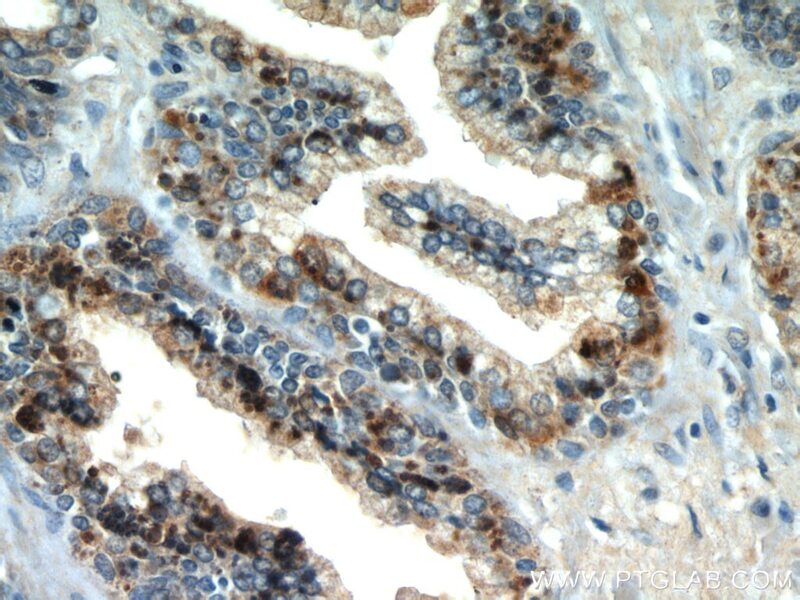 Energy restriction affect liver development in Hu sheep ram lambs through Hippo signaling pathway. 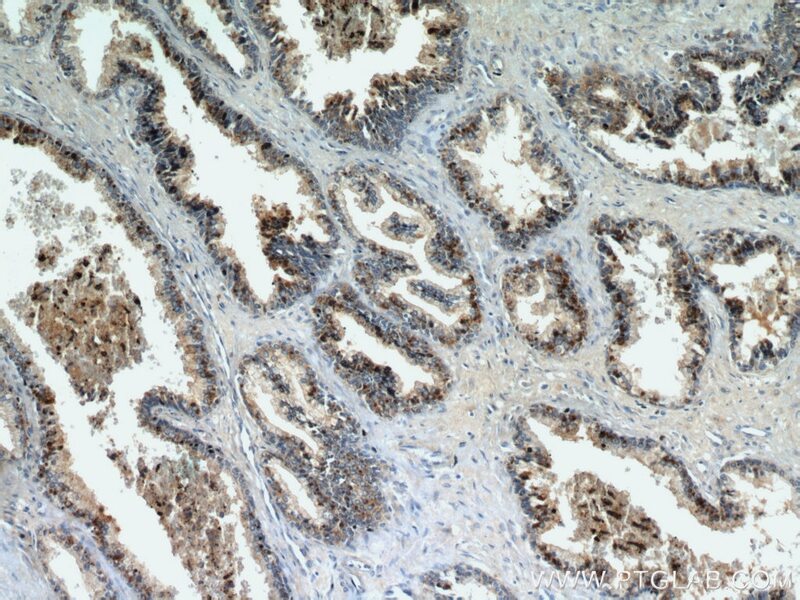 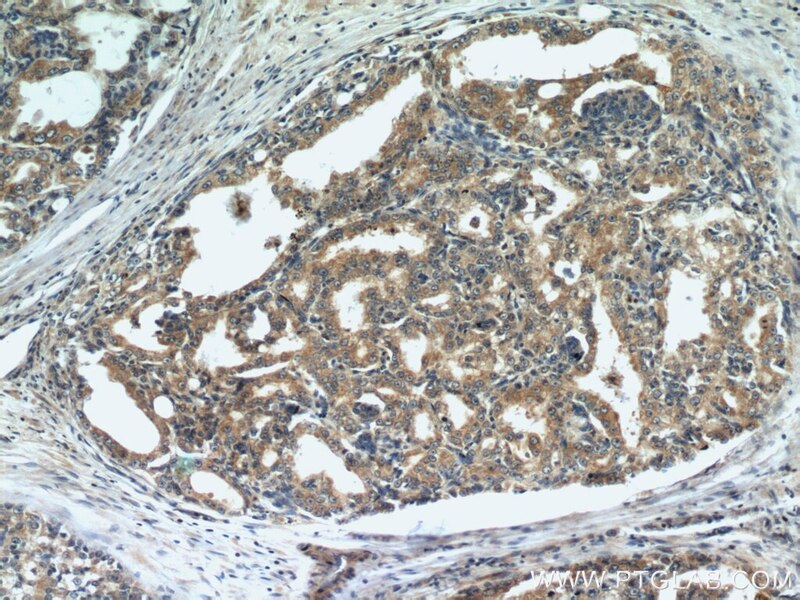 REGγ deficiency suppresses tumor progression via stabilizing CK1ε in renal cell carcinoma. 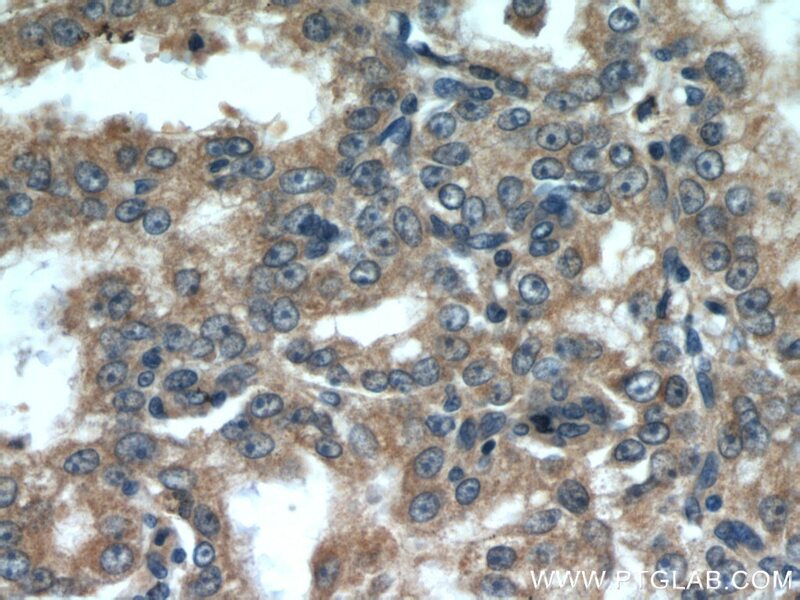 Suppressor of hepatocellular carcinoma RASSF1A activates autophagy initiation and maturation.